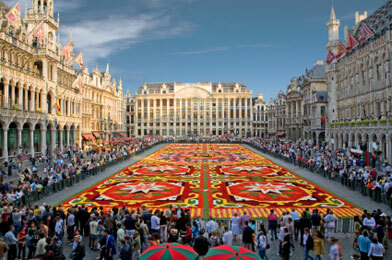 Brussels is the capital of Belgium and is quickly becoming a trendy spot for holidays. there are many places that most visitors cannot imagine. with almost 90 , museums .The population in Brussels is around 1 million from September last year. There is a lot to learn about the history of the city, the architecture is absolutely amazing and when I first saw Brussels I couldn't believe it, we walked into the grand place (Brussels square) I couldn't stop looking, so that is a definite first to go to.